This SAC-i has been tested and approved by CONSECANA, the most eminent authority on sugar and ethanol production in the State of São Paulo, Brazil. Purchase a quartz plate and a polarimeter as a set and receive a discount (for details, please contact the ATAGO sales department). ATAGO has prepared 2 different SAC-i packages for the sugar industry. 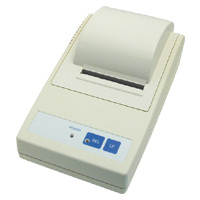 Users have a choice between 2 types: Temperature Controlled Type A and Temperature Compensation Type B. 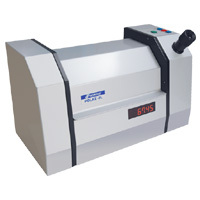 The SAC-i comes with Automatic Temperature Compensation for International Sugar Scale. A Circulating Constant Temperature Bath is not necessary when the temperature compensation function is used or when the SAC-i is used in a temperature-controlled room. * Circulating Constant Temperature Bath 60-C5 (Cat.No.1923) sold separately. Both SAC-i packages include a GMP and GLP compliant Quartz Control Plate for calibration and a Digital Printer DP-AD (regular paper) for data recording. Choose between Package C, which includes a Constant Temperature Circulating Bath 60-C5, or Package D without temperature control. 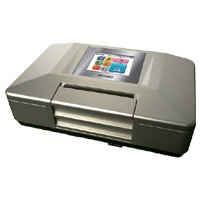 Both SAC-i packages include a GMP and GLP compliant Quartz Control Plate for calibration and a Digital Printer DP-AD (regular paper) for data recording. Choose between Package C, which includes a Constant Temperature Circulating Bath 60-C4, or Package D without temperature control. High Performance Sugar Analysis, Now Easier Than Ever. It has become common that dark color - raw sugar samples are measured at 882nm without decolorization treatment. SAC-i 589/882 can measure samples at both 589nm and 882nm by changing the optical units. The AP-300 fully automatic polarimeter measures a sample easily by setting the observation tube (filled with a liquid sample) in the sample chamber and pressing START. 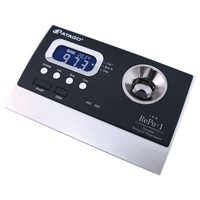 Digitally displayed measurement values are large and easy to read. 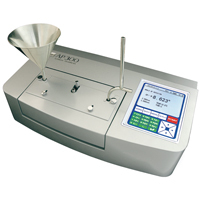 The AP-300 generally used in pharmaceutical, perfume, cosmetic, industrial, chemical, and food factories is the best for measuring the angle of rotation. In addition, the built in International Sugar Scale is used widely in sugar factories. 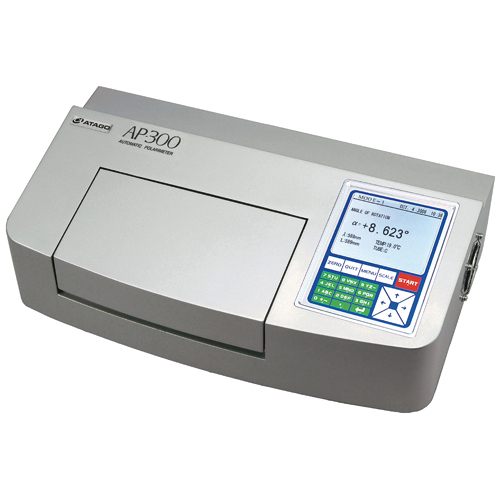 ATAGO has prepared 2 different AP-300 packages for the sugar industry. 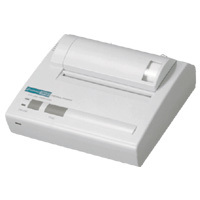 Users have a choice between 2 types: Temperature Controlled Type A and Temperature Compensation Type B. The AP-300 comes with Automatic Temperature Compensation for International Sugar Scale. 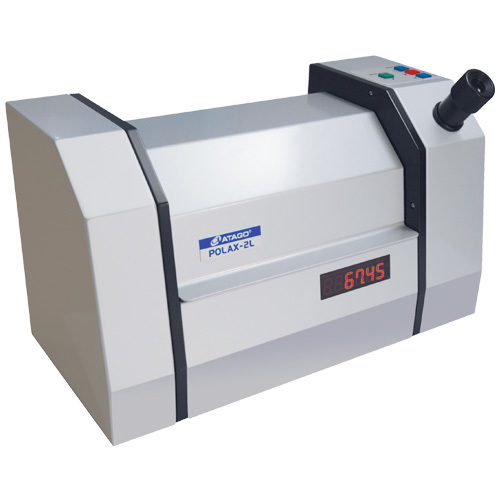 A Circulating Constant Temperature Bath is not necessary when the temperature compensation function is used or when the AP-300 is used in a temperature-controlled room. Both AP-300 packages include a GMP and GLP compliant Quartz Control Plate for calibration and a Digital Printer DP-AD (regular paper) for data recording. Choose between Package C, which includes a Constant Temperature Circulating Bath 60-C5, or Package D without temperature control. 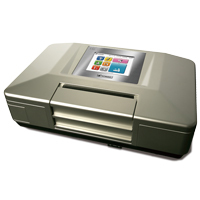 Both AP-300 packages include a GMP and GLP compliant Quartz Control Plate for calibration and a Digital Printer DP-AD (regular paper) for data recording. Choose between Package C, which includes a Constant Temperature Circulating Bath 60-C4, or Package D without temperature control. World's Smallest and Speedy Portable Polarimeter. No observation tube necessary. Only 3ml volume is required for measurements. These ranges are measured by the device’s 20mm light path. 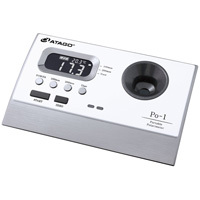 Polarimeter, which is known as an optical rotation meter, is an instrument to measure optical rotation of "optically active matter" such as saccharin, ascorbic acid and sodium glutamate.